BERLIN — Robert Allen Bell died Nov. 2, 2018 at Coastal Hospice at the Lake in Salisbury. He was 78. With wife Patsy, Bob mostly enjoyed watching his grandchildren’s sporting events and horse shows and enjoyed shopping, day trips and dining out in Berlin and Ocean City. Bob was loved by his family members and will be missed deeply. HOLLYWOOD, Fla. — William “Billy” Thompson, Jr. passed away unexpectedly on Friday, Oct. 26, 2018 at the age of 86 in Hollywood, Fla.
Billy was born in Whiteford, Md. and raised in Baltimore. He was preceded in death by his parents, William James Thompson, Sr. and Amelia Thompson, and his sister, Susan “Bunny” Mancini. He was in the US Army and served honorably in Germany. Billy was larger than life and lived it to the fullest. He loved an audience and was a strong presence anywhere he went. He valued hard work and independence, two traits that he possessed in abundance. He started Billy’s Famous Sub Shop in 1959 on Wicomico Street in downtown Ocean City, where he introduced the sub sandwich. 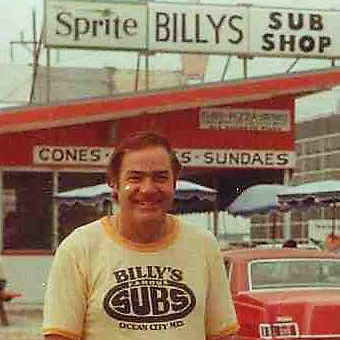 His motto was “Where a sandwich is a meal.” His success then led him to expand to two more locations, where generations of families came each year to enjoy the food and Billy’s lively personality. After 32 years of selling his famous subs, he retired in 2003. His love of travel took him all over the world, where he fulfilled his dreams of seeing the pyramids in Egypt and climbing the Great Wall of China. He enjoyed swimming in the ocean and loved the beautiful beaches of Hawaii, Mexico and Australia. At home, he could be found at the racetrack betting his beloved horses. He had a knack for picking winners and loved spending time studying the horses and trainers. Billy helped out many people throughout his life, but never forgot those who helped him. He was very proud of his accomplishments as a “self-made man” and could always be counted on by his friends and family. His favorite quote was, “There is only one success — to be able to spend your life in your own way.” That he did. He will be remembered for his generosity, big heart and stories. He will be greatly missed by everyone. Billy is survived by his loving wife, Rosalia Thompson of Hollywood, Fla.; his children, Debi Thompson Cook and her husband Paul Cook of Ocean City, Dean William Thompson and his partner Sheri Godfrey of Selbyville, Del. and Dorette Theresa Thompson and her husband Robert Umbel of Melbourne Beach, Fla.; his grandchildren, Ethan Cook, Jacob Cook, Emily Vocke, Jasset Umbel and Jack Umbel; six great grandchildren; and his nephew and niece, Gabby Mancini of Ocean City and Annie Davis of Manteo, N.C.
Services were held in Baltimore. BERLIN — Dr. Aris Constantine Spengos, age 93, died on Wednesday, Oct. 31, 2018 at Coastal Hospice at the Lake in Salisbury. Born in Constantinople, he was the son of the late Constantine and Fotini Spengos. He is survived by his beloved wife, Ariane A. Spengos, and children, John C. Spengos and his wife Nicola of N. Kingstown, R.I., Theodore S. Spengos and his wife Maria of Ellicott City, Md., and son-in-law, Calvin H. Deininger of Wallingford, Pa. There are five grandchildren, Steven C. Deininger, Emma M. Deininger, Theodore A. Spengos, Ariane T. Spengos and Melinna R. Spengos. He was preceded in death by his daughter, Tina A. Deininger. Also surviving are numerous nieces and nephews. Dr. Spengos earned his doctorate in engineering at the University of Michigan and had worked for the Scott Paper Company 26 years. 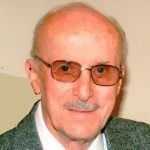 He was a member of St. Georges Greek Orthodox Church in Ocean City, 20-year member of the Kiwanis, Ocean Pines Environmental Committee and the Worcester County Water Committee. He enjoyed sailing, crabbing, boating and gardening and was an avid fan of the Philadelphia Eagles and Flyers. A funeral service was held on Monday, Nov. 5. at St. Georges Greek Orthodox Church in Ocean City. Rev. Anastasios Bourantas officiated. Interment followed in Evergreen Cemetery near Berlin. A donation in his memory may be made to St. Georges Greek Orthodox Church Building Fund, 8805 Coastal Hwy, Ocean City, Md. 21842. Letters of condolence may be sent via: www.burbagefuneralhome.com . Arrangements are in the care of the Burbage Funeral Home in Berlin. 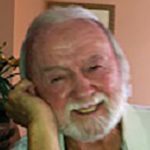 OCEAN CITY — Gregory Akers Hall passed away at his home in Ocean City on Oct. 25, 2018. Born in Baltimore on May 25, 1949, he was the son of the late Arthur and Shirley Hall. He attended St. William of York School, Mt. St. Joseph High School and UMBC. Greg served honorably in the US Army and completed a tour of duty in Vietnam. Following his military service, Greg taught high school social studies at Trinity Preparatory School in Ilchester, Md. In 1971, Greg moved to Ocean City where he ran a successful beach stand business. With his brother, Jim, he was co-owner of ProTrac Go Carts and Miniature Golf course. He acquired his pilot’s license and co-owned a small airplane in Ocean City. Greg became a certified diver, obtained his Captain’s license and established a MD Coast Towing, a dive charter and salvage business. He became a member of BoatUS and subsequently owned a prosperous business TowboatUS, Ocean City which he was still operating at the time of his death. Greg was known for his philanthropy, supporting multiple organizations and charities including the Art League of Ocean City, Ocean City Recreation and Parks, Ocean City Surf Club, and Believe in Tomorrow. He was a member of the OC Marlin Club, American Legion and numerous other organizations. In his leisure time, Greg enjoyed watching Nascar races, motocross and traveling around the world for diving trips. He was an avid reader, collected antiques and enjoyed cooking. He was especially fond of the holidays with family and enjoyed giving gifts to his nieces and nephews at Christmas. He is survived by seven siblings, Barbara Shade, Monica Anthenelli, James Hall, Betsy Harrison (Alfred), Nancy Long (Michael), Amy Laird and Thomas Hall (Cynthia). Greg also had 15 nieces and nephews and 18 great nieces and nephews. He was godfather to Zachary Hall. He was predeceased by his niece, Caitlin Laird, and brothers-in-law, James Anthenelli and Buddy Laird. Greg unselfishly donated his body to the Maryland Anatomy Board. A celebration of Greg’s life and service for family and friends will be held at the American Legion in Ocean City on Nov. 24, 2018 at 11 a.m. 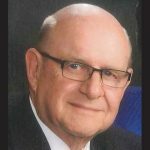 OCEAN CITY — Edgar “Buddy” Rayne, age 81, loving husband, father, grandfather, great-grandfather and friend, went home to be with his Lord and Savior on Friday, Nov. 2, 2018. Born in Ocean City, he was the son of the late Edgar Rayne, Sr. and Ida Victoria Hastings Rayne. He is survived by his wife, Dianna Jones Rayne, and children, Scott Sweeney and his wife Cindy of Charlotte, N.C., Keith Edward Rayne of Jacksonville, Fla., and Terri Lynn Rayne of Rehoboth, Del. There are six grandchildren, Scott, Evan, Erica (Wade), Mallory, Noelle and Ally, along with three great grandsons, Carter Rayne, Sebastian Susini and Sonny Susini. He was preceded in death by his siblings, Richard E. Rayne, James E Rayne, Rebekah Davis and Sally R. Wallace. Also surviving is special and beloved daughter, Sharon Lewis, his Bel Mare family, and a bundle of loving nieces and nephews and great nieces and nephews. A 1956 graduate of Stephen Decatur High School, he served in the United States Coast from 1958-1964. Returning home, Buddy became a businessman, working with his brothers acquiring multiple food markets throughout Delaware and Maryland. He then became a real estate developer of the Bel Mare Condominiums. He was a member of the Assateague Mobile Sport Fishermen’s Association (AMASA) Tag # 39, and an avid fan of the Baltimore Orioles — never missing a game. A memorial service will be held on Saturday, Nov. 17 at noon at the Burbage Funeral Home in Berlin. Friends may call from 10 a.m.-noon. Mr. Ed Horner will officiate. Interment will be in Evergreen Cemetery and will be private for the family. A donation in his memory may be made to the Ocean City Paramedics Foundation, P.O. Box 3099, Ocean City, Md. 21843, or The American Lung Association, 1301 Pennsylvania Ave. NW Suite 800, Washington, DC 20004. Letters of condolence may be sent via www.burbagefuneralhome.com .